There is a sort of charming deviousness about the character of Jimmy Shive-Overly, a British novelist described as “a brash, self-destructive narcissist,” whose book is titled “Congratulations, You’re Dying.” In some ways, Chris Geere’s You’re the Worst character is vaguely reminiscent of Hugh Grant as Will Freeman in the romantic comedy About a Boy. But it doesn’t take long for actor Chris Geere to demonstrate that like Grant, he is a deeply talented actor, who can make you both like and despise his character all at the same time. A brilliantly talented actor (who would make a terrific 007 someday), Geere was born in Cambridge, England and has appeared in British television on EastEnders, Trollied, and Waterloo Road. Yet, although television is television, he explained, there are some differences when it comes to working in American TV. Chris Geere arrives at the red carpet premiere of FXX’s ‘The League’ and ‘You’re the Worst’ at the Bruin Theatre on September 8, 2015 in Los Angeles, California. Photo by Frank Micelotta/FX. Although the weather may be predictable, You’re the Worst, which also stars Aya Cash, Desmin Borges, and Kether Donohue is a roller coaster ride of modern relationship drama and edgy, no-holds-barred comedy. 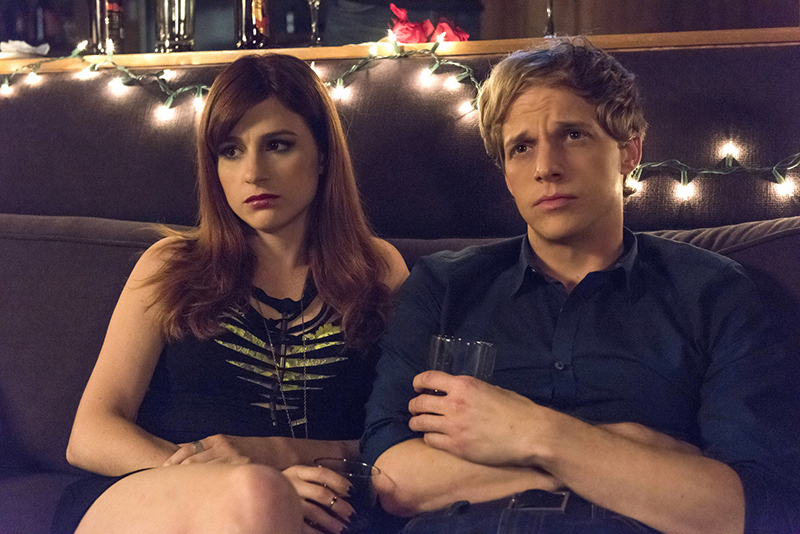 Aya Cash as Gretchen and Chris Geere as Jimmy. 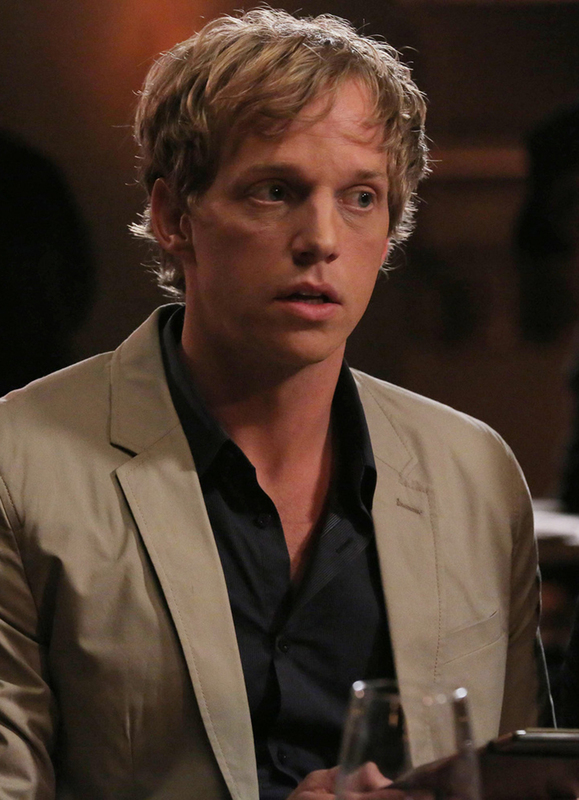 You’re the Worst airs Wednesdays at 10:30 p.m. on the FXX television network. You can follow Chris on Twitter @CWGeere.